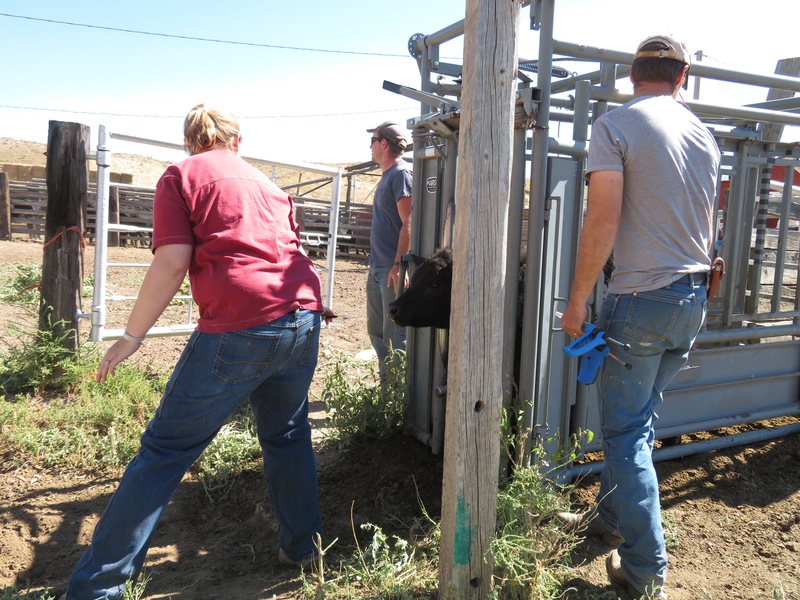 So the baby calves are weaned, but there’s a few things we do… We run them through the alley and chute, vaccinating them, worming them, and giving them a shot of minerals to help them along. The plan was for everyone to be on deck working in the corral. 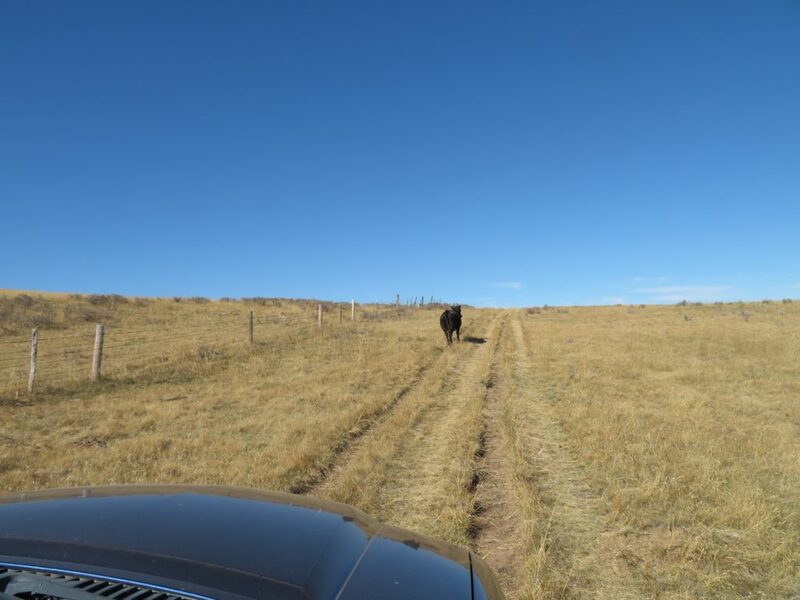 Victoria’s husband, however, spotted some of our cows in the lane, not in the pasture where they belonged. It was late, and he was busy hunting, so he didn’t do anything with them. Victoria and I volunteered to go see what we could do… of course, hauling along her three kids as well. It was plenty easy to find their escape path. The top two wires were knocked down in the corner by the lane. 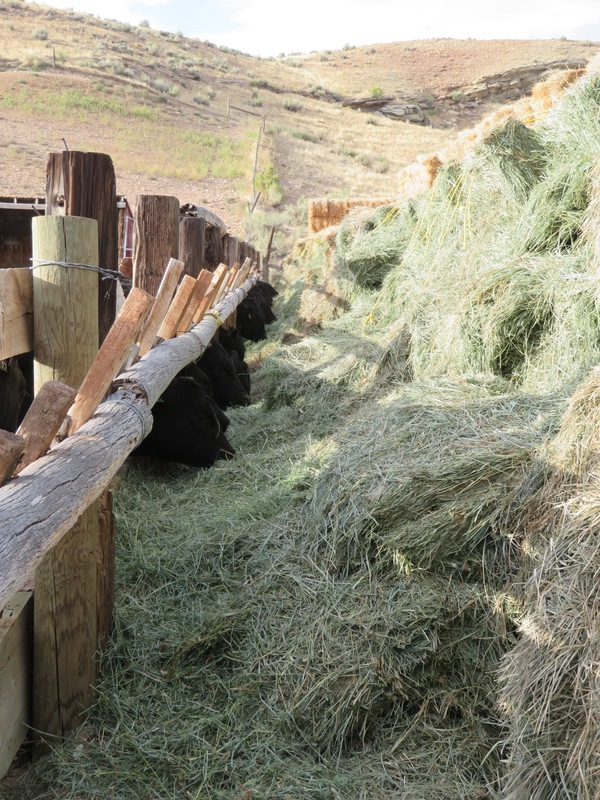 We didn’t have fencing tools or wire (those were all down with the guys at the corral), so we had come prepared with baling twine!! I repaired the corner as best I could, then we went in search of cows. There were five miscreants… and we turned them and headed them back towards the gap they’d created… and the gate! Cows know where they’ve escaped and it’s often easy to head them back that way, hopefully a real gate is nearby! I was grateful we could just follow them (mostly) with the car! I only had to huff and puff over one rocky hill! I have to admit, it’s fun watching my three kids process these calves. I took three short videos, each averaging 30 seconds to load the calf, give it all its shots, and release it. They do it quietly and efficiently and its all over for that calf! I was sitting there, holding Matthew, trying to get him to finally take a nap. He was way too interested in what was going on for most of the time, but even with all the banging of the chute and discussion and bawling… he did finally have to give in and fall asleep! Another round of weaning is complete. Oh so I’m not the only Nanny who has a grandson who is so concerned that he will miss what is going on, and the opportunity to help out, that it is a real challenge to get him to sleep. But don’t you just love them!!! 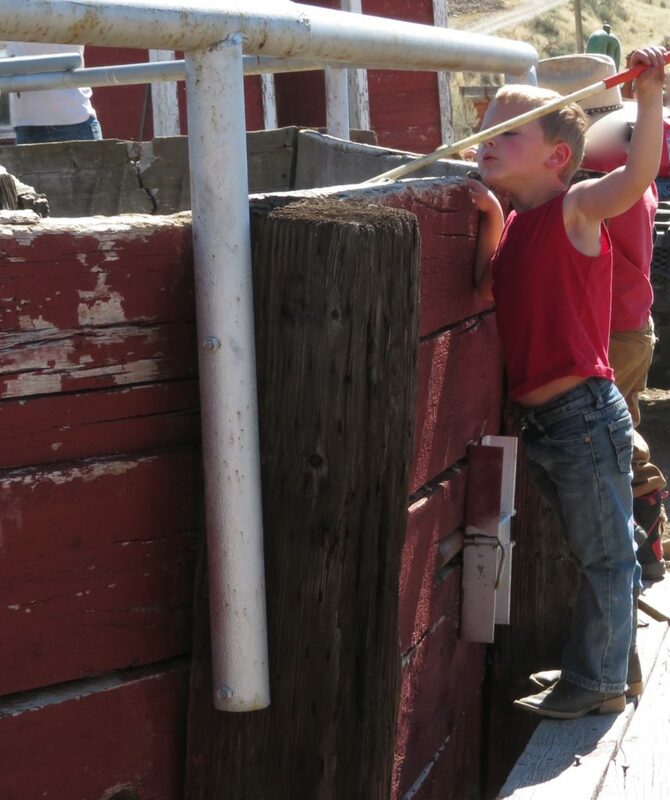 that boy won’t quit… He is soooooooo excited about “cows”!